This year is a big year for the Hard Rock Cafe Jakarta. The restaurant chain, known worldwide for its rock memorabilia decor, first expanded into Indonesia 20 years ago in Jakarta before opening a hotel in Bali a year later. The restaurant has seen years of success as people line up to see their unique decorations and eat their good food. To celebrate the restaurant's 20th anniversary since opening its Jakarta location, the restaurant held a special concert featuring one of Japan's best known rockers, Miyavi. The concert celebrated not only the Hard Rock Cafe's anniversary, but the rich legacy rock music has left the world's culture. To help showcase rock's influence on culture, Miyavi was chosen to show how rock music has no borders; anyone can enjoy the sounds and styles of rock no matter where you live. 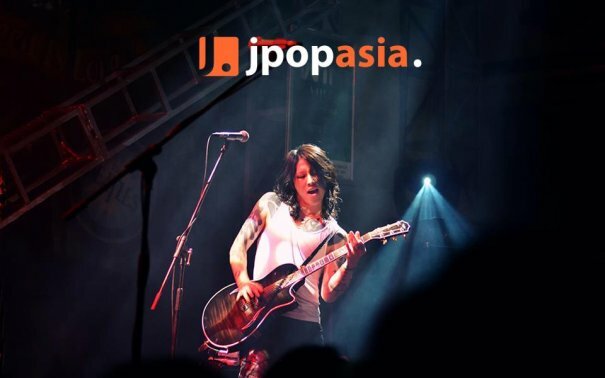 JpopAsia had the chance to interview Miyavi before performing, giving us insight into his his short stay in Indonesia. JPA: Before you came to Indonesia, what was Indonesia like in your imagination? After you came and saw it, what is your first impression? Miyavi: My image of Indonesia was "very kind hospitality", and now I know I was right! JPA: What is the story behind the super-minimalist group with Bobo? How was it formed? JPA: You've had many collaborations with musicians lately. Who else would you really want to collaborate with? JPA: Will there be a chance to form a band again with many members like in "Kabuki Era"? Miyavi: Of course! I really enjoyed myself with those talented, high-skilled musicians in my crew "KABUKI BOIZ"! JPA: What did you think about the super band "S.K.I.N"? What if there's a sudden call from Yoshiki to hold a tour together with S.K.I.N? Miyavi: That was definitely a cool moment. He called me on my B-day. JPA: What is your biggest dream that you want to do with music? Miyavi: I just wanna get rid of the anxieties from people as much as possible. JPA: What do children mean to you? Do they effect how you compose music? Miyavi: A lot. They gave me an another appreciation for life, and that obviously affected the variety of music I do. JPA: Do you have any plans to make your daughters become a musician too? Miyavi: It all depends on them because they have their own lives. JPA: What do you want to do the most in Indonesia? JPA: If you could be a superhero, who would you be? Miyavi: Batman, don't you wanna? For more photos from the event, be sure to check the JpopAsia Indonesia Media Team's Facebook page!